Caledonia Banjo / Mandolin tab with easy to play letter notes. 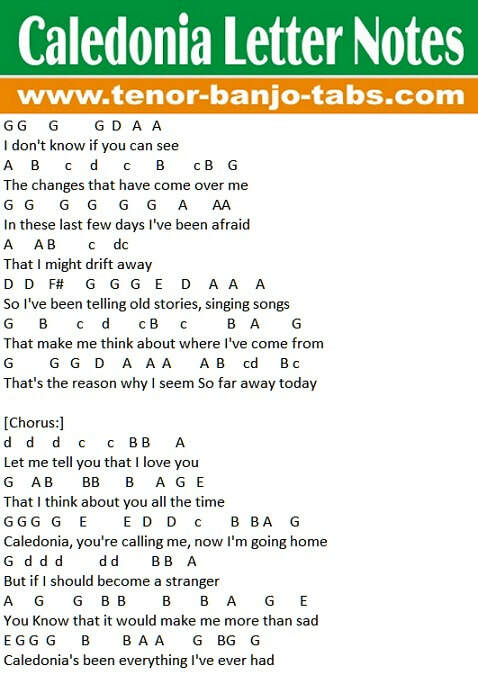 A modern song from singer / songwriter Dougie MacLean. Recorded by Dougie an later by Celtic Woman. The notes in CAPITAL letters are the low one's up to the B note. The notes higher than the B are in lower case.